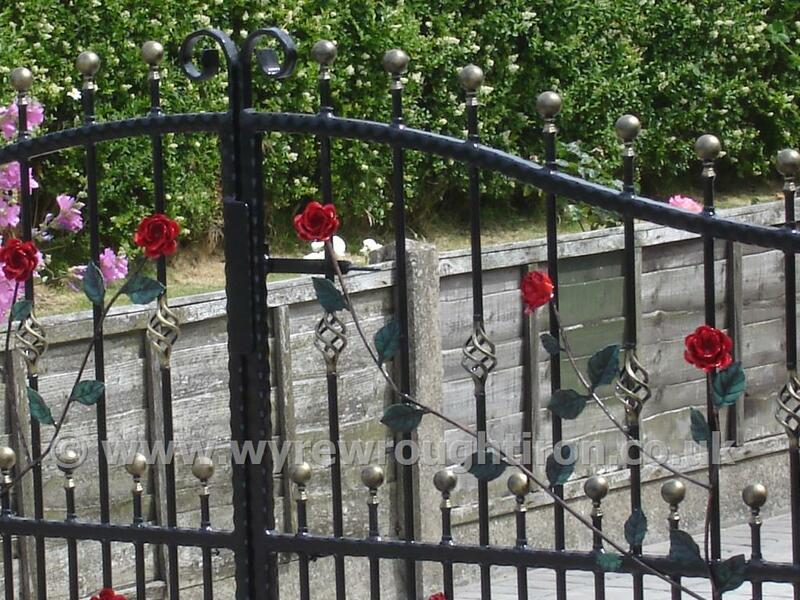 Detail of gates in Fleetwood with hand finished roses, vines and leaf detailWyre Wrought Iron specialise in the creation of quality handmade metal gates for gardens, driveways, business premises and more. Ornamental Gates - Our portfolio contains hundreds of different finishes and designs to choose from, a small selection of which are available on-line in our Photo Gallery. Or you can mix and match to create your own unique design. With dozens of features such as finials (spikes / railheads), roses, flowers, leaves, cage twists, barrels, scrolls and scalloped edged bars to choose from, you can be sure there's something to suit your property and budget. Plus, we can make Railings to match. Functional Gates - Or if you're looking for more basic functional gates for commercial premises, schools, offices, shops or public buildings, we can manufacture those too, along with safety features such as wire mesh in-fill. Security Gates - The addition of gates help to prevent easy access to your property. This can be enhanced further with locking mechanisms such as slide-bolts, handles and / or an integrated key-lock or padlock. Privacy - If you want to separate your personal space from the outside world and / or hide the contents of your premises, we can add galvanised sheet backing to your gates to provide required privacy. This can be powder coated if required. Bi-Folding Gates - These can be used to span wider gaps more conveniently and / or for when there is limited space on your driveway, as they don't require as much room to open. Powder Coated Gates - Gates can be powder-coated in a wide range of colours and finishes including gloss, matt and satin. Black, green, brown and burgundy are the most popular colours, but there are lots more to choose from. 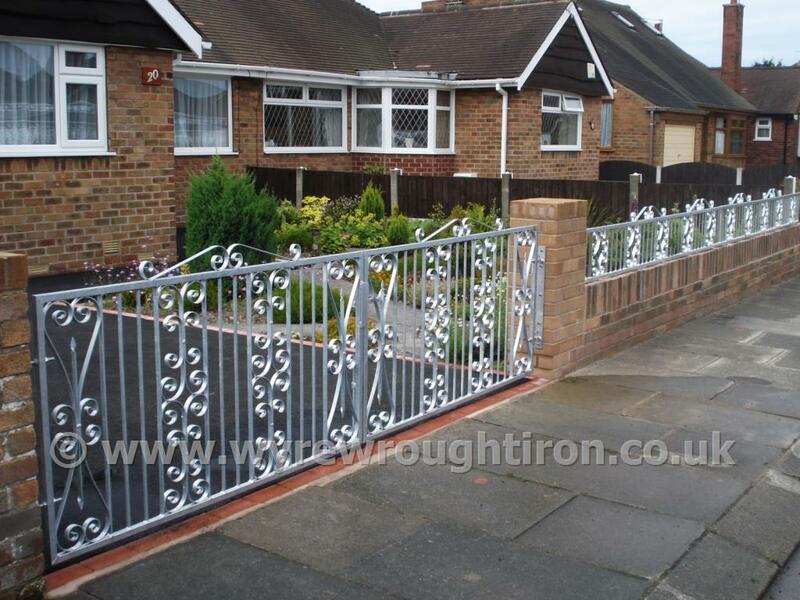 Or if colour is not required, they also look good in their original silver / grey galvanised metal finish. Hand Finished - Fine details such as gold, silver and bronze finishing are completed by hand. 10 Year Guarantee Against Rust - All of our gates are galvanised to ensure they remain rust free, and backed by a 10 year guarantee (see below). Double arch gates with C scrolls, railheads and barrels for Poulton customerLong Lasting - Metal gates also require less maintenance and last longer than wooden gates, which require annual painting to prevent rotting and are more prone to accidental damage from heavy use. All our Gates are galvanised to BS EN ISO 1461 standards to prevent future rusting and are covered by a 10 year guarantee. An important consideration with the salt air on the Fylde Coast. Gate Refurbishment - Metal gates looking a little tired? Where feasible, we can bring old gates back to life by re-galvanising and painting them. Alterations / Extensions - If you've had your driveway re-done and / or your gate posts have moved, we can alter existing gates to make them wider or narrower to fit. Old Gates Replicated - Or if you like the gates you have, but they're worn out beyond repair, we can replicate the design to create a like for like replacement. Additions - Got some gates in good condition that you'd like to make more ornate? We can add details to existing gates such as spikes, roses, barrels, scrolls and more. 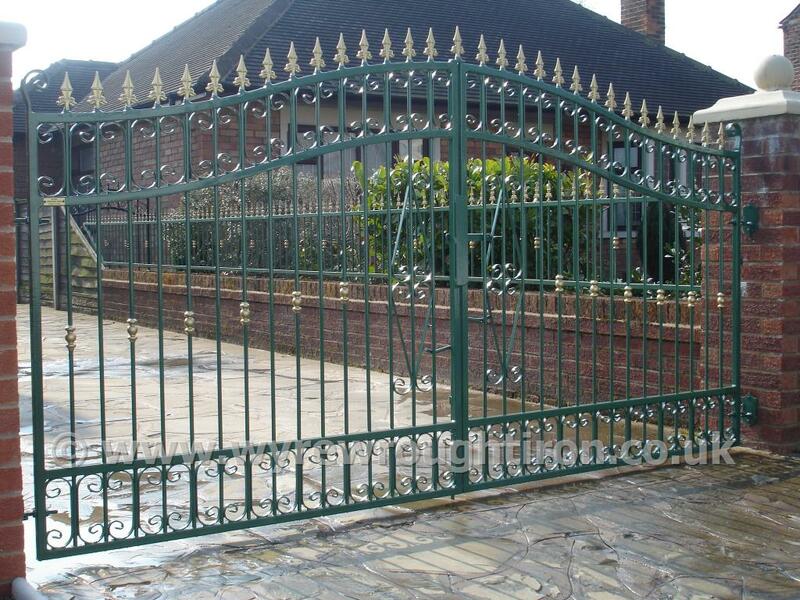 For examples of our Gates and other wrought iron work, please take a look at our Photo Gallery and Facebook pages.